Today, textile identification and sorting in industrial laundry processes can be greatly enhanced through RFID technology. 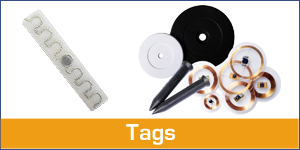 By attaching tiny RFID tags to garments, uniforms, linens or mats the ownership of the items is well defined. Textiles can be easily identified by the use of RFID technology,with amazing advantages for industrial laundries. Benefits include faster garment identification, automatic sorting, error-free processing, reduced manual labor and long lasting solutions. The amortization factor of RFID systems in industrial laundry applications is very high. It all begins with an RFID tag attached to a garment or linen. The industry has created a series of ISO standards-based, high-frequency 13.56 MHz and ultra high frequency 860 – 960 MHz tags that are encapsulated in plastic to withstand the harsh temperatures and detergents found in commercial laundries. Tags are programmed with a unique ID number that can be read and processed. RFID tagged garments can be read while stored in bags or racked on hanger bundles. iDTRONIC offers fast and accurate RFID hardware products for the textile identification market.